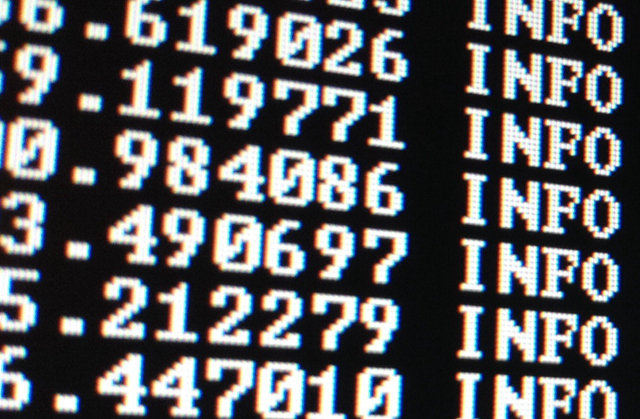 First developed in 2008 by Satoshi Nakamoto—whose identity remains a mystery—as a public ledger for all bitcoin transactions, blockchain is now outshining the cryptocurrency it underpins as it offers banks and others the benefits of a distributed ledger, i.e., an independent, transparent and permanent database coexisting in multiple locations, shared by a community with no vested interests. By creating trust through code, blockchain offers a means of transfer for both money and information. In a highly connected global economy, blockchain provides the missing trust element for all digital transactions, be they payments, goods, services or private data. 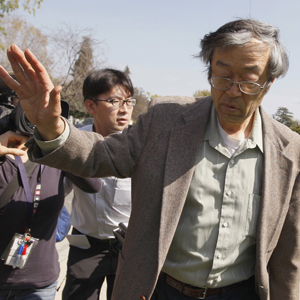 Dorian Prentice Satoshi Nakamoto of California is pressed by reporters outside his home after a Newsweek story naming him as the inventor of Bitcoin. He denies it. As so much of our lives is conducted online, it’s easy to see the appeal of blockchain. But just as the Internet took decades to develop, we are still in a very nascent stage with distributed ledgers. Big banks are either joining forces or developing their own distributed ledgers for areas such as trade, payments and other financing receivables. Tech companies, including IBM (via the Hyperledger Project) and Microsoft (via the open-source, public, blockchain-based, distributed-computing platform, Ethereum), are racing to develop Cloud-based, business-friendly blockchain-as-a-service platforms. Fintech players players include San Francisco’s Ripple, whose protocol has been adopted by a growing number of financial institutions. According to MarketsandMarkets research, blockchain’s market share is expected to grow from $210.2 million now to $2.3 billion in 2021. “The promise of blockchain is the elimination of the intermediary to perform a secure and cost-effective transaction,” enthuses Guillermo Gualino, vice president and treasurer at Agilent Technologies. Although there are several peer-to-peer applications in finance, Gualino believes that regulatory issues will mean we are more likely to see initial rollout in the security and fraud-prevention areas. The race to develop viable business cases for blockchain means that we are still not ready for the introduction of standards, but Standards Australia recently announced that the International Organization for Standardization is supporting its proposal to develop a set of international standards for blockchain technology. The R3CEV consortium is also focusing upon common industry standards and protocols. What bodes well for blockchain is that regulators appear to view it constructively, no doubt because of the potential to enable better data and greater transparency. While it’s important for developers to have freedom to create, there will come a time when standards are necessary. The hope is that the collaborative spirit between banks, fintechs and regulators that has emerged continues to find a happy middle ground that doesn’t stifle creativity. Who is the cryptic genius behind this cryptocurrency? The first paper describing the bitcoin digital currency was published under the name “Satoshi Nakamoto,” but no such individual has emerged. Indeed, many individuals that journalists or others have suggested as candidates based on analysis of writings or circumstantial evidence—including Americans Nick Szabo and Hal Finney, Japanese-American Dorian Nakamoto, Finnish academic Vili Lehdonvirta, and Irish graduate student Michael Clear—have fervently denied it. Some believe Nakamoto to be a team rather than an individual. One thing that is known: The logs show Nakamoto holds a million bitcoins. With an exchange rate of roughly US$1,900 to the bitcoin, that’s nearly $2 billion—enough to go around, even for a team.